Nigel Bathgate was quite excited to be going to a country house weekend at Frantock. Nigel was a twenty five year old journalist, and still had a very youthful enthusiasm for the weekend party which was being given by Sir Hubert Handesley who was known for his unique parties. Nigel traveled there on the train with his older and more sophisticated cousin Charles Rankin who was a connoisseur of house parties. Charles already knew most of the people who would be attending. There would be Angela North who was Sir Charles's niece, and Arthur and Marjorie Wilde. Arthur was an archaeologist and Marjorie was very attractive. Rosamund Grant who was a very beautiful woman, would be there. The new person in the group was Doctor Foma Tokareff, a Russian, who had probably met Sir Hubert when Sir Hubert was at the embassy in Petrograd. Sir Hubert announced at the beginning that they were going to play a "murder" game. One person would be selected to be the murderer. 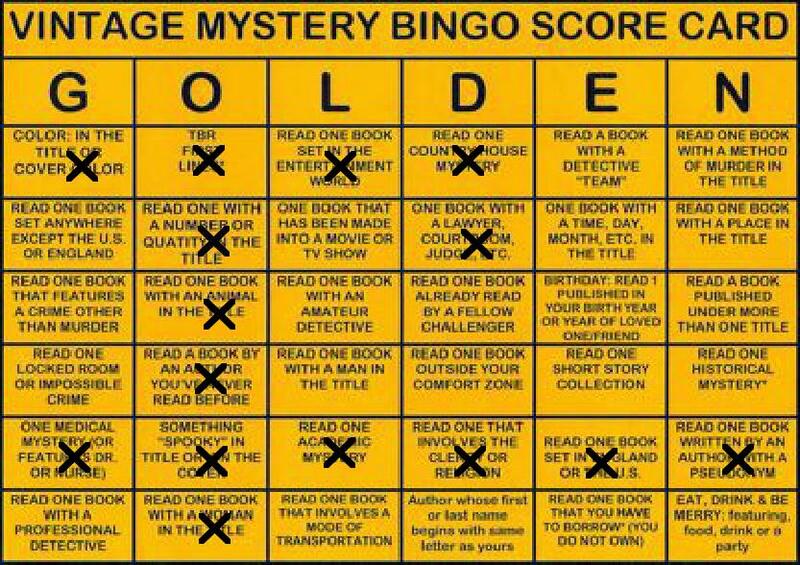 The murderer would select his victim and turn off the lights to indicated the death. The rest of the party would be tasked with finding the identity of the murderer. Charles Rankin told the group about a fantastic dagger that he had brought with him. He had received it from a Russian man whom he had rescued from a crevasse in Switzerland. It was a beautiful antique Mongolian dagger, and Dr. Tokareff told the group that this dagger was a symbol of a Russian secret society, and that Charles should not have been given it. Sir Hubert who collected weapons coveted this dagger and finally a silly agreement was reached in which Charles would leave the dagger to Sir Hubert after his death. The next day the group had an enjoyable day. Nigel was not named the murderer. He got to know Angela better as they toured the house and played badminton. In the evening as they were dressing for dinner, a gong sounded and the lights went off. The victim had been chosen. When the members of the party came down the stairs, they found the body of Charles Rankin at the foot of the stairs. He had been stabbed with his Russian dagger. Inspector Alleyn arrived at Frantock to find the murderer. He was young, sophisticated, and had an upper class accent. Hardly what the members of the party expected from a member of the police. He interviewed the members of the party, and Nigel was cleared of suspicion because of the testimony of a maid. He and Alleyn became friends which allowed Nigel to follow the investigation of the murder. There is a side plot in this book which involves finding members of a Russian secret society. The book was written in the 1930's when there was suspicion in England of Soviet conspiracies. Alleyn would seek the help of Nigel and Angela in his investigation of this group. 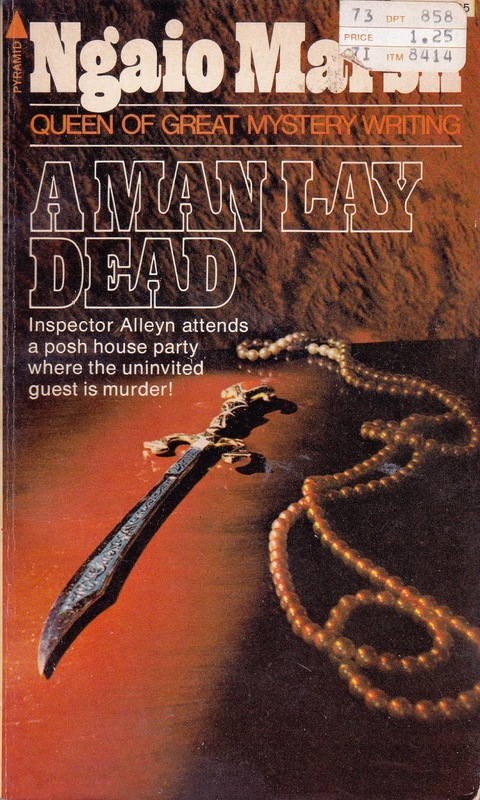 This book, written in 1934, was Ngaio Marsh's first mystery novel and introduced Inspector Alleyn who would go on to star in many other of her mysteries. It is still in print. 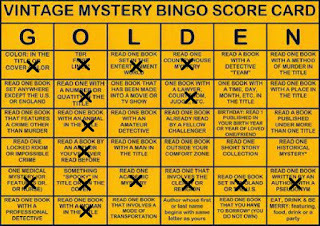 I have read this book for the 2015 Vintage Golden Mystery Bingo in the category of a book with a country house mystery.